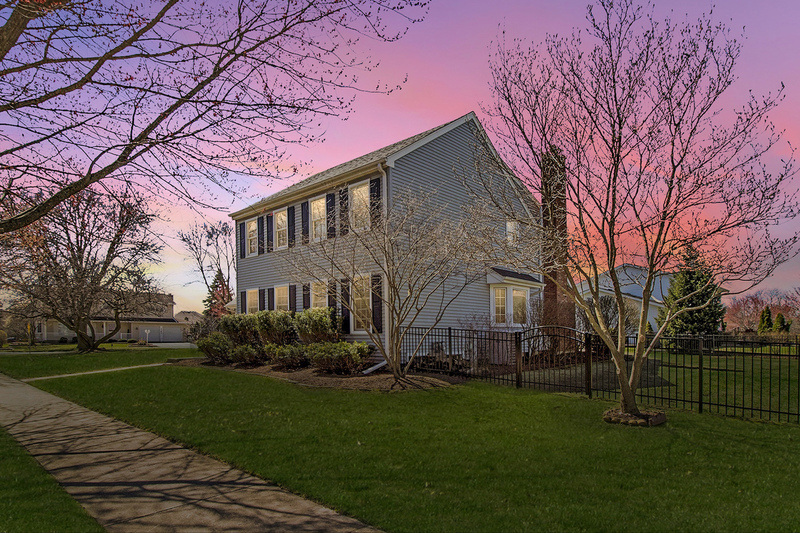 Picture perfect home nestled on a quiet cul-de-sac in spectacular North Naperville! This home is absolutely fresh and inviting with oh so much to love...open flowing floor plan, crown molding, hardwood floors, remodeled kitchen, white cabinetry, granite, oversized breakfast bar, stainless appliances, recessed lighting - updates galore! The list goes on with beautiful master suite, travertine tiles, oversized shower, spacious bedrooms, custom closets, first-floor bedroom/office, finished basement and loads of storage. Large yard with lovely paver patio and cozy fire pit is perfect for outdoor entertaining. Freshly painted, new tear off roof 2019, new high-efficiency water heater, basement flooring, recessed lighting, fenced yard... Amazing location with direct access to 5-acre park/playground. Walk to parks, swim club and local shops. Wonderful neighborhood, topnotch schools, easy access to train & expressways and minutes to shopping, dining and lively downtown Naperville & Riverwalk!